It's a complaint I hear all too often, "My kid is falling behind in school, not because he's not smart enough to do the work, but because he's distracted, he rushes through, he forgets to bring the right books and materials home...," the list goes on and on. If you parent a tween or teen, you also know that their interest in having you tell them how and when to do things is about as appealing to them as getting a root canal is to you! 2. Teach Them Skills: Good time-management and organization skills set the stage for better academics. These skills are often not taught in the school-setting for a variety of reasons. But they are crucial to your child's success. Make sure you child knows how to keep things organized, how to remember what they need to bring home every day at the end of the school day and how to "get it all done". Your child will need how to plan for short-range assignments (what's due tomorrow), as well as long-range assignments (what's due three weeks from now). No more frantic Thursday night science experiment for the expo that is due the next day for the science fair! 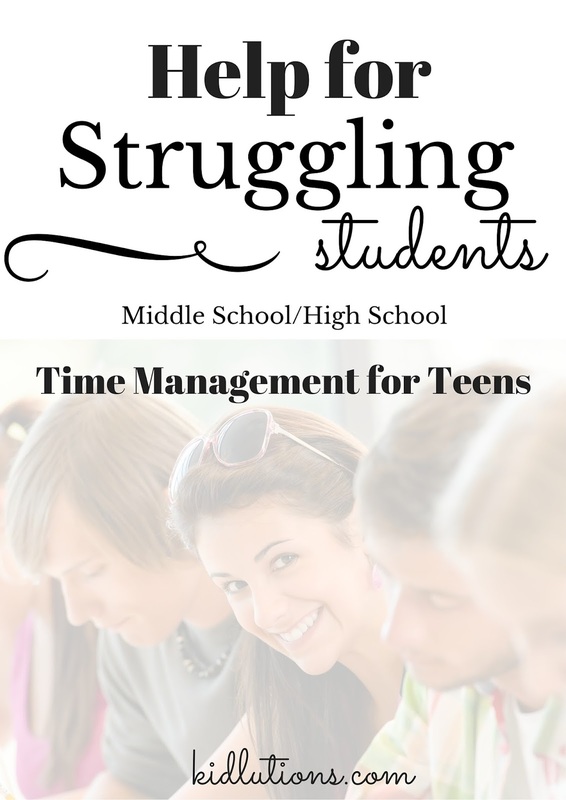 Good time-management skills are going to help in middle school, high school and beyond. They'll be called upon in college in a big way and will continue to be utilized once your child enters the work force. Build good habits NOW! 3. Coach Enthusiastically: Okay, so this might be a different approach than you are used to, but it's so worthwhile. Rather than telling your child what they forgot to do, what they need to do or what they have to do, start engaging them in conversations and cheer them on from the sidelines. "Hey, how are things coming along with that assignment you've been working on? "How far have you gotten?" "How much more time do you think it will take to finish it?" "Want to share with me what you've done so far?" "Tell me about what you've learned most in working on this." "What has been your favorite part of working on this? Your least favorite part?" "What timeline did you set for yourself in finishing it?" "How do you think you're doing so far?" "How do you feel about your progress?" Do you see how that changes things? It's a respectful way to acknowledge that your child is in charge of his assignments, but to indicate your interest as a parent. You are handing the responsibility for all of it squarely back to him. That changes EVERYTHING! Try it. See if it doesn't help at your house! I guarantee, MOST of you will not be there to monitor your child's work habits at college. He needs to learn to do this FOR himself. Really! But, I've Already Tried All of That! Maybe you've tried all of the above and it still feels like a battlefield in your home when it comes to homework? We get it! Truly! And we can help! What if we removed the hassle? What if we eliminated the back-and-forth struggle between you and your child and you could help him find some ways to be responsible for himself? What if you gave your child the opportunity to do it his way (with a little bit of expert support to get there) and you just could remove yourself (almost) from the equation? 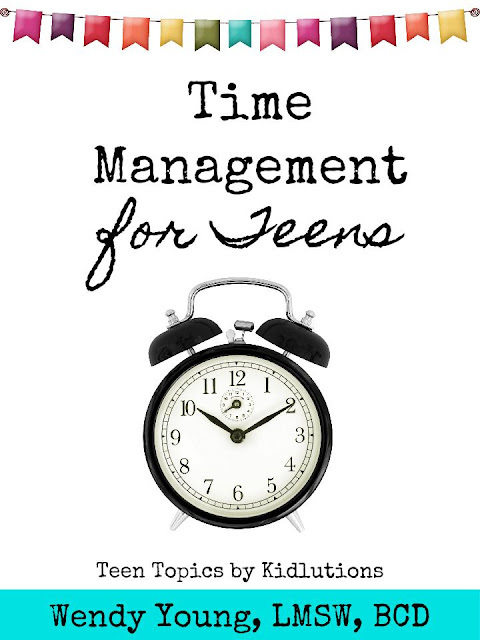 The Time Management for Teens (and Tweens) System was developed specifically for middle and high school students who might need an extra little nudge and some real assistance in how to "keep it all together". and planners, as well as review sheets to check for understanding. if you get it now! Get it for 40% OFF NOW! 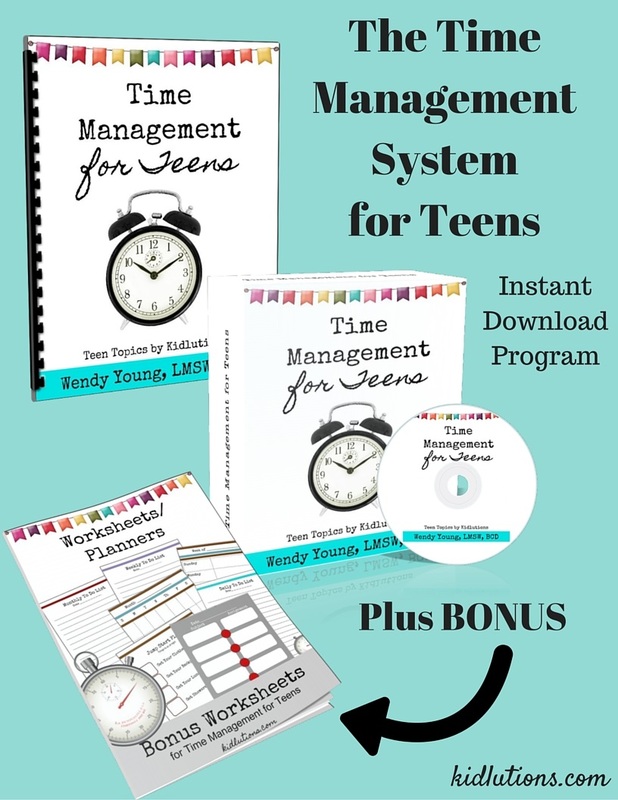 This product speaks DIRECTLY to teens, in language they can understand and "chunks down" the important aspects of organization and time-management. And, you can get it for 40% off NOW. This special won't be around forever, so grab yours while you can! Since this product debuted earlier this week, it has found its way into homes, therapy offices, school counselor's offices, tutoring agencies, teen mentoring offices and more, worldwide. If you use this for home use, you'll save hundreds of dollars hiring a tutor, mentor or coach to teach your child. 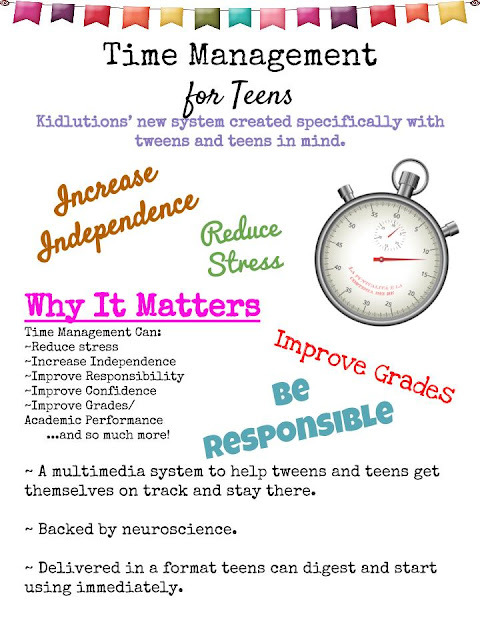 If you are a professional working with tweens/teens, this product will more than pay for itself the first time you use it! And you can use it again and again as a professional. You can read more and see a quick video HERE.